It can be really bothersome for you to move your house belongings from one place to another. One simple reason associated with your worries could be related to a lot of costs involved with your moving bill and those additional charges mentioned along with the quote you signed with your house removalists company in Brisbane. Most of the times, people are suspicious of paying the House Removalists Company in Brisbane for their moving job. But an experienced company can save you a handsome amount in the long run by offering various specialized services to avoid the unwanted cost of damage. 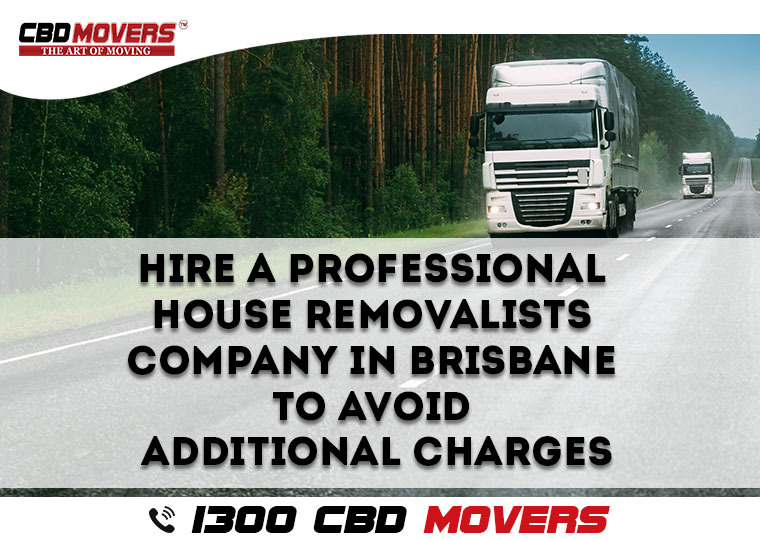 Therefore, before finalizing House Removalists Company in Brisbane first, you need to understand all those charges that you find in your final moving bill such as long carry charges, elevator carry, and flight charge, etc. ‘Long carry charges’ as the name itself implies, it means when the mover has to move your things to a longer distance than a set maximum limit. ‘Elevator carry’, is an elevator car that helps movers to carry everything onto and again taken them out and moving to your doorstep. Likewise, ‘Flight charges’ are levied to carry your stuff upstairs or downstairs. But, remember that all moving companies do not bill you extra for each of aforesaid charges, especially if they charge hourly basis. Therefore, before hiring professional house removalists company in Brisbane, it makes sense to disclose all details about the location of your destination while negotiating for a quote. This will help you to avoid an unwanted headache or miscommunication about any surprise charges. Don’t hesitate to ask your movers upfront if they will impose an extra cost for their professional services besides your original mover’s quote. For example, movers may charge you extra to take care of your piano. Also, note down any special instructions given by you for your special items. Always clarify with your House Removalists Company in Brisbane if they can take care of specific items that need extraordinary care and handling and whether it is covered in the initial list of the quote. Other additional charges that may raise question are all miscellaneous services done by the movers, such as packing of furniture items or disassembling of appliances. You need to ensure that charges of such items are not reflecting on your charges. So, disassemble and neatly pack all furniture and appliances in advance so that they are easily and quickly loaded into the truck. Finally, on the judgment day, you need to be organized and fully prepared and should provide the whole information to the house removalists company in Brisbane, regarding your pick-up location and how to get there. By keeping in mind all aforesaid important points, you can surely save a substantial amount for the settlement at your new home. To know more, call us 1300223668 and ask for a free quote with an attractive and competitive offer. Previous PostPrevious A satisfied customer from Western Australia, Perth shared his best relocation service experience. Next PostNext A glad customer from Queensland is sharing her experience from the latest moving service.